Tickets: $15 – Advanced purchase required! Ballet Karin Ruschel e do Laboratório da Dança, Porto Alegre, RS) no “Take to the Studio” do NY Tap City Festival no Symphony Space (Broadway, New York, EUA). 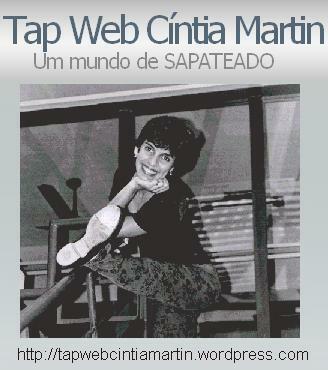 A mestra sapateadora carioca Cíntia Martin está organizando uma viagem para Nova York destinada a sapateadores e amantes da tap dance, em um grupo que reunirá momentos de dança, cultura e muita alegria na Big Apple durante o período em torno do “Tap City – The New York City Tap Festival”, o maior festival de sapateado do mundo (veja o site oficial clicando aqui). Além da possibilidade de participar do Festival e de fazer aulas de dança em Nova York em algumas das principais academias da cidade, como a Broadway Dance Center e Steps, o grupo poderá conhecer outros locais desta que é a metrópole mais cosmopolita do planeta, guiados por Cíntia Martin que, além de mestra, coreógrafa e experiente em viagens para Nova York em torno do sapateado, agora também atua como guia turística. O embarque, voando American Airlines, deverá ser em 04 de julho de 2011 do Rio de Janeiro e a viagem inclui 8 noites de Hotel Hampton Inn Times Square com café da manhã e taxas incluídas em NYC, além de transfer aeroporto/hotel e apoio da supervisão da operadora New It no embarque do grupo no Rio. O pacote pode ser dividido em 7 vezes sem juros com 30% de entrada. que comandará a informação de todos os detalhes para os interessados. Aproveite ! Vagas limitadas ! 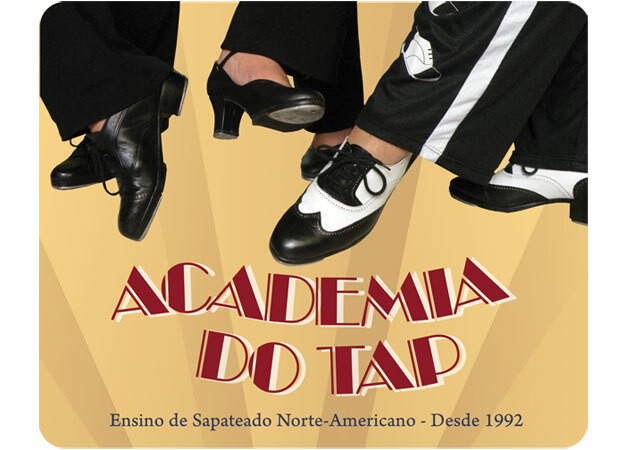 Os grandes mestres Brenda Bufalino e Tony Waag em apresentação no “Tap City – The New York City Tap Festival”, em sua primeira edição, 2001. An evening of contemporary choreography created by leading choreographers for cutting edge ensembles including Chloe Arnold, Michelle Dorrance, Barbara Duffy & Company, Walter Freeman, Acia Gray, Derick K. Grant, Josh Hilberman, Jason Janas, Kazu Kumagai, Michela Marino-Lerman, Margaret Morrison, Carson Murphy, Andrew Nemr & Cats Paying Dues PLUS, Jason Samuels Smith, Tapestry Dance Company, Josette C. Wiggan, Zen & others! The annual HOOFER AWARDS will be presented to tap dancers extraordinaire Tina Pratt and Derick K. Grant and the TAP PRESERVATION AWARD will be presented to teacher, historian and Professor Ann Kilkelly. An opportunity for Tap City students in the Youth & Pre-Professional Program to share their talents. Featuring new works choreographed by Josh Hilberman, Chloe Arnold, & Karen Callaway Williams. Includes Student Awards Ceremony. An opportunity for adult students to share their talents. From emerging ensembles to choreography learned during four day tap residencies this community event promotes continuing rhythmic education at any age! Featuring works choreographed by “Brownie” Brown, Ayodele Casel, Barbara Duffy, Derick K. Grant, & Jared Grimes. Performances by kids, teens and youth ensembles from across the nation. Performances by the Tap City Pre-Professional Program with choreography by Heather Cornell and Jason Janas. Hosted by Tap City’s Youth Program Director Michele Ribble. The 5th annual TAP TEACHER AWARDS will be presented. Tony Waag and friends take us on a rhythmic romp celebrating traditional vaudeville, comedy and classic song and dance. Performers include Brenda Bufalino, C3 Tap Cooperative, DeWitt Fleming, Acia Gray, Jared Grimes, Susan Hebach, Jason Janas, Kendrick Jones, Ann Kilkelly, Mable Lee and her Dancing Ladies, Reggio McLaughlin, Konstantin Nevretdinov, Sarah Petronio, Claudia Rahardjanoto, Max Pollak’s Rumba Tap, Mathew Sheilds, Hank Smith, Melinda Sullivan, the Tap City Youth Ensemble, Tapestry Dance Company, Tony Waag, Karen Callaway Williams and others. Tap legends Ernest “Brownie” Brown (Cook and Brown), Harold Cromer (Stump and Stumpy) Mable Lee, and Dr. Jimmy Slyde will be inducted into the INTERNATIONAL TAP DANCE HALL OF FAME. Site da ATDF: clique aqui. Reportagem de Jennifer Dunning para o The New York Times publicada em 17 de julho de 2007. Matéria enviada pela mestra americana Margaret Morrison, a quem agradeço. The summer Tap City festival is always breezy, hard-dancing fun. Tap enthusiasts are the best kind of audience: generous and appreciative, including both fans and old-time tap stars who don’t happen to be performing that night but often join those onstage for the infectiously spirited, full-cast “Shim Sham Shimmy” that ends each program. And Tony Waag, the founder of the festival, is the most genial and relaxed of hosts, a slightly melancholic, blithe spirit who overcame the usual odds of dance presenting to end this seventh annual festival, which also includ ed classes, workshops and panel discussions, with four sold-out shows. The “Tap Forward” show on Friday at the Duke on 42nd Street didn’t need the electricity of a packed house to be exciting. The program of dance by relatively new tappers, with a few veterans thrown in, was one of those “remember when” nights. Style triumphed over mere technique and concept here, with one terrific act and soloist following another, building to mid-show standing ovations and a final jubilant roar from the audience. Thursday’s “Tap Internationals” program had been heavy on technique and concept and suggested, dispiritingly, that the world was full of disciples of Savion Glover who lacked that tap star’s distinctive exaltation. Friday’s show opened with an expert group number by the Tap City Youth Ensemble, followed by the feather-footed, musically astute Margaret Morrison and the Bay Area Dance Company. “Mr. Kicks”, a solo performed by DeWitt Fleming Jr., was more song than dance. And then the floodgates opened, with one dancer after another pouring out onto the stage to remind you that the styles of the great old tap stars — at least those who resurfaced in the vivid 1970s tap reunions around New York — were about individual personality as much as dance skills. My favorites were two irresistible soloists and two groups. Michelle Dorrance, who appeared in several numbers, looks like the actress Hilary Swank and dances like some of the oddball characters Ms. Swank tends to play. Ms. Dorrance was an untamable, tomboyish force of nature in “Baobabs”, a little jewel of a trio that also featured the pianist Matthew Chicurel and Miriam Chicurel, whose translucent voice sang of taming love. Rangy, skinny and unpredictable, Ms. Dorrance also danced in “Charlie’s Angels”, a sizzling trio of dancers choreographed by Jason Samuels Smith, and performed with two other exquisite stylists, Dormeshia Sumbry-Edwards and Chloe Arnold. And Ms. Dorrance danced as if she knew a secret or two but wasn’t telling in an exuberant and crisp finale with Barbara Duffy & Company. Parris Mann’s tap world is universes distant from that of Ms. Dorrance. Tucked into a large velvet jacket, Mr. Mann jousted with gravity in a solo in “With Love to Deborah Mitchell”, performed by Ms. Mitchell’s New Jersey Tap Ensemble, which should immediately set up shop in Manhattan. Mr. Mann is a showman, but he has the tap chops to back up the good-natured pizzazz with musically phrased volleys of footwork punctuated by sudden quick tilts to the floor, ponderous yet soufflé light, that were a surprise and a pleasure in a time when tap seems to have settled into loose verticality. The piano playing of J. Leonard Oxley added much to the suite. The dancing of Jason Samuels Smith, an established star and tap force of nature, was another great pleasure, as was that of Karen Callaway Williams, a gifted traditionalist with laughing eyes. Sarah Savelli’s well-choreographed “Summertime” offered ample opportunity for stylish self-expression by four vivid soloists: Ayodele Casel, a New York favorite, and Michela Marino-Lerman, Carson Murphy and Ms. Savelli. The evening included the presentation of the Tap City Tap Preservation Award to Susan Goldbetter, the Hoofer Award to Ms. Mitchell and the “Toe-Knee” Award to Michele Ribble for what Mr. Waag described as her sustaining friendship. Thursday’s “Tap International” program, also at the Duke, nearly drowned in extraneous elements like saxophones and a Carmen Miranda getup. But there were a few highlights, including a solo by the superb Japanese tapper Kazu Kumagai, an exuberant number by Sharon Leahy’s Rhythm in Shoes tap and hoedown troupe from Dayton, Ohio, and a wittily phrased duet, “Pa’ Los Rumberos”, choreographed and danced by Max Pollak and Chikako Iwahori. The level of dancing was otherwise respectable, from performers including Jussi Lindroos (Finland); Alexander Ivashkevich and Anton Merkulov (Estonia); Reco Cheng and Ringo Yang (Taiwan); a Japanese quartet (Takahiro Kobayashi, Mr. Kumagai, Daisuke Omiya and Shoko Taniguchi); Gilberto de Syllos and a mugging Christiane Matallo (Brazil); Ms. Iwahori (Japan); Ms. Duffy and Andrea DelConte (United States); and Mr. Pollak’s multinational Rumba Tap, described in the program as representing “the Globe”. Both shows were considerably buoyed by musical accompaniment provided by Bernice Brooks (drums), Theo Hill (piano) and Joe Fonda (bass).